Many of us believe that figure skating is not a sport. Many people don’t even know that there is something like figure skating. So today, let’s discuss this unconventional sport called Figure Skating. Read this article and allow yourself to know more and more about figure skating. It is an exciting and too-much-fun concept and indeed a tough one! 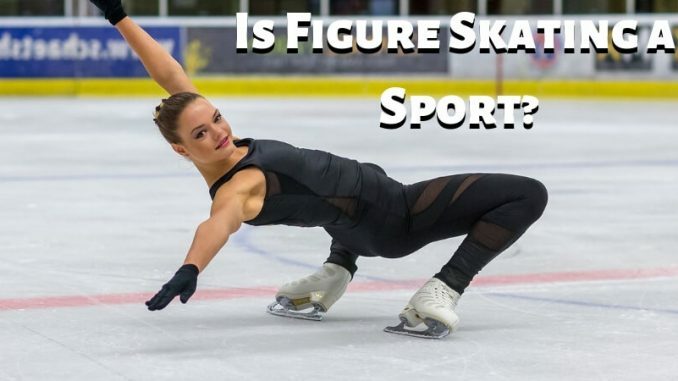 Is Figure Skating a Sport? Before starting the article, let’s clear some doubts about figure skating. Our research on this particular activity suggests that it is a sport in which the people perform with skates on the ice. In fact, it has made its place in the list of games of Olympics since 1908, with the different categories like male/female single skating, pair skating, and ice dance. So we can say that it might be a sport. Even the non-Olympic disciplines also include some forms of figure skating like synchronized skating or ice theater. Then the question is, Why few of us don’t consider it as a sport? The dictionary meaning of ‘Sport’ clearly shows that any activity which includes physical exertion and skills in which the person or the group have to compete against the other individuals or teams for the sake of entertainment is a sport. So, if we consider this particular meaning of sport, then any form of skating including the figure skating is a sport. Also, there is an exact scoring system available for figure skating. People who watch the athletes live or on the television may not know or understand, but all the players have to take care of the smallest details. From postures to spins, jumps to lifts, and all the other elements receive a predetermined base score. Each mistake counts and can lead the performer to the negative marking. What does Figure Skating include? There are various elements and moves one has to perform to score well in this type of activity. It depends on the jumps – including toe jumps, edge jumps, and other jumps like throw jumps; spins like camel spin, sit spin, layback spin with catch foot, biellmann spin, etc. ; lifts – including pair lifts, dance lifts, and lots more. It also depends on the turns, steps, moves in the field, death drop, death spirals, etc. We all have to agree that any sport or activity like gymnastics or skating, etc. have been considered as women’s sport, even it is no way exclusive to women or men. Sports like figure skating often suffer the consequences because of the different opinions or lack of knowledge. The athletes in this sport have to work as hard as the other sport and also take care of their expressions and appearances. So, let’s end the battle, understand their competition, and appreciate their hard work!